Russian Surveillance Plane Accidentally Shot Down By Syrian Forces, Moscow Says. 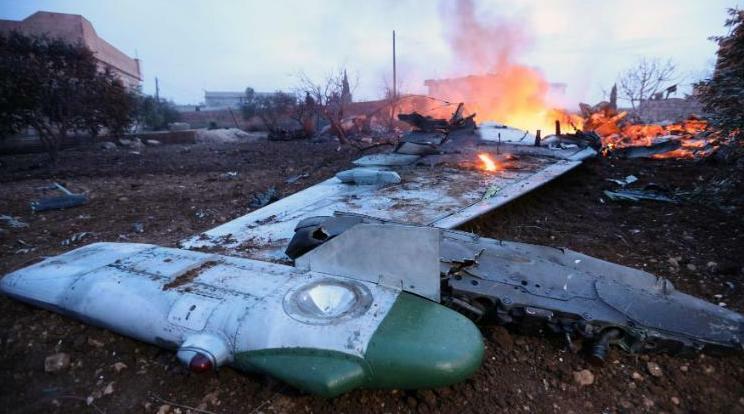 A Russian surveillance plane carrying 15 people was accidentally shot down over northwestern Syria by regime forces, Russia’s Ministry of Defense says. However, officials in Moscow are blaming Israel for the incident, which killed all 15 service members on board. The defense ministry says the turbo-prop Il-20 “Coot” used for electronic reconnaissance disappeared from radar near the coastal city of Latakia on Tuesday just as Israeli F-16s were launching airstrikes on targets in the area. In a series of tweets on Tuesday, the Israel Defense Forces, or IDF, blamed “extensive and inaccurate” Syrian anti-aircraft fire. “The trace of the Il-20 on flight control radars disappeared during an attack by four Israeli F-16 jets on Syrian facilities in Latakia province,” the Russian defense ministry said in a statement. A Syrian S-200 surface-to-air missile brought down the plane, the ministry said. “We view these provocative Israeli actions to be hostile,” Konashenkov was quoted by Interfax as saying in a translation published in The Moscow Times. “Fifteen Russian servicemen died as a result of the irresponsible actions of the Israeli military,” he added. Konashenkov said Russia reserves the right to take appropriate “retaliatory measures,” but he provided no specifics. “At the same time Russian air control radar systems detected rocket launches from the French frigate Auvergne which was located in that region,” the Russian ministry said in a statement, but a French military spokesman denied the warship had any involvement in the shooting down of the Russian plane. “During the strike against the target in Latakia, the Russian plane that was then hit was not within the area of the operation,” the tweets said.